This article is about the title and honorific. For other uses, see Sir (disambiguation). Since the Late Modern era, "Sir" has been increasingly used also as a respectful way to address any commoners of a superior social status or military rank. Equivalent terms of address for women are Madam (shortened "Ma'am"), in addition to social honorifics such as Mr, Mrs and Miss. 'Sir' derives from the honorific title sire, used in Spanish, Italian, French, German, and Swedish. Sire developed alongside the word seigneur, also used to refer to a feudal lord. Both derived from the Vulgar Latin senior, sire comes from the nominative case declension senior and seigneur, the accusative case declension seniōrem. The form 'Sir' is first documented in English in 1297, as title of honour of a knight, and latterly a baronet, being a variant of sire, which was already used in English since at least c.1205 as a title placed before a name and denoting knighthood, and to address the (male) Sovereign since c.1225, with additional general senses of 'father, male parent' is from c.1250, and 'important elderly man' from 1362. The prefix is used with the holder's given name or full name, but never with the surname alone. For example, whilst Sir Alexander and Sir Alexander Fleming would be correct, Sir Fleming would not. The equivalent for a female who holds a knighthood or baronetcy in her own right is 'Dame', and follows the same usage customs as 'Sir'. Although this form was previously also used for the wives of knights and baronets, it is now customary to refer to them as 'Lady', followed by their surname; they are never addressed using their full names. For example, while Lady Fiennes is correct, Lady Virginia and Lady Virginia Fiennes are not. The widows of knights retain the style of wives of knights, however widows of baronets are either referred to as 'dowager', or use their forename before their courtesy style. For example, the widow of Sir Thomas Herbert Cochrane Troubridge, 4th Baronet, would either be known as Dowager Lady Troubridge or Laura, Lady Troubridge. Today, in the UK and in certain Commonwealth realms, a number of men are entitled to the prefix of 'Sir', including knights bachelor, knights of the orders of chivalry and baronets; although foreign nationals can be awarded honorary knighthoods, honorary knights do not bear the prefix "Sir", instead using the associated post-nominal letters. Dual nationals holding a Commonwealth citizenship that recognise the British monarch as head of state are entitled to use the styling. Common usage varies from country to country: for instance, dual Bahamian-American citizen Sidney Poitier, knighted in 1974, is often styled 'Sir Sidney Poitier', particularly in connection with his official ambassadorial duties, although he himself rarely employs the title. The permissibility of using the style of 'Sir' varies. 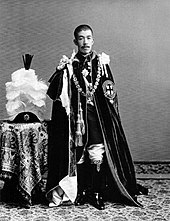 In general, only dynastic knighthoods in the personal gift of the Sovereign and Head of the Commonwealth – the Order of the Garter, the Order of the Thistle and the knighthoods in the Royal Victorian Order – are recognised across the Commonwealth realms, along with their accompanying styles. Knighthoods in the gift of the government of a Commonwealth realm typically only permit the bearer to use his title within that country or as its official representative, provided he is a national of that country; Commonwealth realms may consider knighthoods from other realms to only be foreign honours. For instance, Anthony Bailey was reprimanded by Buckingham Palace and the British government in 2016 for asserting that an honorary Antiguan knighthood allowed him the style of 'Sir' in the GB. Established in 1783 and primarily awarded to men associated with the Kingdom of Ireland, Knights of the Order of St. Patrick were entitled to the style of 'Sir'. Regular creation of new knights of the order ended in 1921 upon the formation of the Irish Free State. With the death of the last knight in 1974, the Order became dormant. As part of the consolidation of the crown colony of India, the Order of the Star of India was established in 1861 to reward prominent British and Indian civil servants, military officers and prominent Indians associated with the Indian Empire. The Order of the Indian Empire was established in 1878 as a junior-level order to accompany the Order of the Star of India, and to recognise long service. From 1861 to 1866, the Order of the Star of India had a single class of Knights (KSI), who were entitled to the style of 'Sir'. In 1866, the order was reclassified into three divisions: Knights Grand Commander (GCSI), Knights Commander (KCSI) and Companions (CSI); holders of the upper two degrees could use the title 'Sir'. 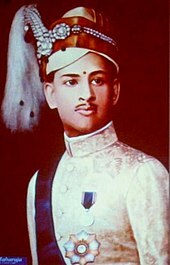 From its creation in 1878 until 1887, the Order of the Indian Empire had a single class, Companion (CIE), which did not entitle the recipient to a style of knighthood. In 1887, two higher divisions, Knight Grand Commander (GCIE) and Knight Commander (KCIE) were created, which entitled holders of those ranks to the style of 'Sir'. The last creations of knights of either order were made on 15 August 1947 upon Indian independence. All British honours and their accompanying styles were officially made obsolete in India when the Dominion of India became a modern Commonwealth republic in 1950, followed by Islamic Republic of Pakistan in 1956. The Order of the Star of India became dormant in the Commonwealth realms from February 2009, and the Order of the Indian Empire after August 2010, when the last knights of the orders died. In Nigeria, holders of religious honors like the Knighthood of St. Gregory make use of the word as a pre-nominal honorific in much the same way as it is used for secular purposes in Britain and the Philippines. Wives of such individuals also typically assume the title of Lady. This is also the case with academic titles, such as professor. For example, Patrick Bateson was both a professor[note 2] and a knight bachelor; his correct title would be Professor Sir Patrick Bateson. The title of Doctor, however, is not used in combination with 'sir', with the knighthood taking precedence. Knighted doctors are addressed as knights, though they may still use any post-nominal letters associated with their degrees. Church of England clergy who receive knighthoods do not use the title 'Sir', but instead refer to their knighthood using post-nominal letters. For example, the Reverend Dr John Polkinghorne, KBE is never referred to as Sir John Polkinghorne. Clergy of other denominations may use different conventions. Peers who have been knighted are not addressed as 'Sir' in the formal sense of the style, as their titles of nobility take precedence. If the heir apparent to a dukedom, marquessate or earldom holds a courtesy title and has been knighted, the same principle applies to him, as well as to the male heirs of a duke or a marquess, who are styled 'Lord' followed by their first name. 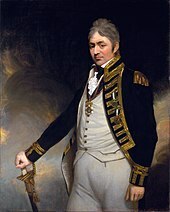 For instance, diplomat Lord Nicholas Gordon-Lennox, KCMG, KCVO, who was a younger son of the Duke of Richmond, continued to be styled as 'Lord Nicholas' following his knighthood in 1986, not 'Lord Sir Nicholas'. Other male heirs of an earl who lack courtesy titles, and the male heirs of a viscount or baron, do however use the style of 'Sir' if knighted, the style following that of 'The Hon'. 'Sir', along with Miss for females, is commonly used in the British school system to address teachers; and or members of faculty as well as staff. Usage of these terms is considered a mark of respect, and can be dated back to the 16th century. The practice may have been an attempt to reinforce the authority of teachers from lower social classes among classes of largely upper class students. Jennifer Coates, emeritus professor of English language and linguistics at Roehampton University has criticised the use of the title for male teachers, saying that "Sir is a knight. There weren't women knights, but 'Miss' is ridiculous: it doesn't match 'Sir' at all. It's just one of the names you can call an unmarried woman", and that "It's a depressing example of how women are given low status and men, no matter how young or new in the job they are, are given high status". This view is not unchallenged however. The chief executive of the Brook Learning Trust, Debbie Coslett, said "... they call me 'Miss', I'm fine with that. They're showing respect by giving me a title rather than 'hey' or 'oi, you' or whatever", and dismissed the male/female issue as "That's just the way the English language works". In the Southern United States, the term 'sir' is often used to address someone in a position of authority or respect, and is commonly used in schools and universities by students to address their teachers and professors. Whereas the British and Commonwealth female equivalent is Miss, students will often refer to female teachers as Ma'am. In the Northeast United States, particularly New England, there remains influence of both the British and French traditions as noted above; in general parlance, teachers, authority-figures, and so forth, are referred to by a title of respect such as 'Sir' for males and 'Miss, Ms, or Mrs' for females: 'Miss' for unmarried, younger females; 'Ms' for senior, elder, or ranking females that may or may not be married (see article Ms/Mrs/Miss); and 'Mrs' for married or widowed females. The predominant form of address remains "Sir/Ma'am", though in some sectors - such as service, hospitality, or politics - "Sir/Madam(e)" prevails, while in Northern Maine - Aroostock County and St John's Valley - most female teachers or public officials, regardless of marital status, are addressed "Miss" in English or "Madame" in French, though the two are not interchangeable. As noted in Coslett's statement above citing her personal acceptance of 'Miss', generally teachers or other public officials may specify to which form they prefer, while in other cases social and cultural norms dictate the appropriate form. If not specifically using their rank or title, 'sir' is used in the United States Armed Forces to address a male, senior commissioned officer or civilian. Privates and non-commissioned officers, such as corporals and sergeants, are addressed using their ranks. Similarly, in both the United States Air Force (USAF) and Royal Air Force (RAF), 'sir' is used to address all male commissioned officers. Male non-commissioned officers and airmen are addressed by their rank. In the RAF, male warrant officers are addressed as Mr by commissioned officers, but as 'sir' by non-commissioned officers and airmen. In the Royal Canadian Mounted Police (RCMP), only commissioned officers are addressed as 'sir'; NCOs and constables are addressed by their rank. Male British police officers of the rank of Inspector or above are addressed as 'Sir' (women of inspecting rank are called Ma'am). In the British Army, a Regimental Sergeant Major (RSM), the most senior non-commissioned officer, is addressed as 'Sir' by his subordinates. In the Hong Kong Police Force, male superiors are respectfully known by their surname followed by 'sir'. For example, Inspector Wong would be addressed or referred to as 'Wong-sir'. Male police officers are sometimes known colloquially as "Ah-sir" (阿Sir) to the wider public. The term 'Sir' is also used frequently in the customer service industry, by employees to refer to customers, and sometimes vice versa. In the United States, it is much more common in certain areas (even when addressing male peers or men considerably younger). For example, a 1980 study showed that 80 % of service interactions in the South were accompanied by 'Sir' or Ma'am, in comparison to the Northern United States, where 'Sir' was only used 25 % of the time. ^ a b c In the personal gift of the Sovereign and Head of the Commonwealth. ^ Note a difference in usage between British and US usage. A Professor in the UK is only used for the highest academic rank. See a summary here. ^ Ayres-Bennet, Wendy (1996). "The 'heyday' of Old French (French in the 12th and 13th centuries)". A History of the French Language Through Texts. London: Routledge. ISBN 0415099994. ^ a b c d e f g h i j "Knight". Debretts. n.d. Archived from the original on 5 February 2014. Retrieved 2 February 2015. ^ "Baronetess". Debretts. n.d. Archived from the original on 4 February 2014. Retrieved 2 February 2014. ^ "Family of a Baronet". Debretts. n.d. Archived from the original on 15 March 2015. Retrieved 2 February 2015. ^ a b "Wife of a Knight". Debretts. n.d. Archived from the original on 21 February 2015. Retrieved 2 February 2015. ^ "Wife of a Baronet". Debretts. n.d. Archived from the original on 16 March 2015. Retrieved 2 February 2015. ^ "Honorary Knighthood". Debretts. n.d. Retrieved 10 October 2017. ^ Donovan, Ned; Gallagher, Ian (28 May 2016). "Queen's envoy 'Baroness Brazen' is entangled in honours scandal: Title given to Commonwealth chief's crony is 'reviewed' after she is accused of abusing the system". The Daily Mail. Retrieved 16 August 2016. ^ Royal Household. "The Queen and the UK > Queen and Honours > Royal Victorian Order". Queen's Printer. Retrieved 17 February 2019. ^ "Baronet". Debretts. n.d. Archived from the original on 19 February 2015. Retrieved 3 February 2015. ^ "Knight /Dame of the Order of Australia". Australian Government. n.d. Retrieved 3 February 2014. ^ "Australia PM Malcolm Turnbull drops knights and dames from honours system". BBC. 1 November 2015. Retrieved 1 November 2015. ^ "New Zealand State Honours - The New Zealand Order of Merit". New Zealand Defence Force. n.d. Retrieved 3 February 2015. ^ "Who is entitled to the prefix of 'Sir'?". R.A.U. Juchter van Bergen Quast, LLM (in Dutch). 25 October 2015. Retrieved 6 December 2017. ^ "Republic Act No. 646 | GOVPH". Official Gazette of the Republic of the Philippines. Retrieved 6 December 2017. ^ "Speech of President Aquino at the International Assembly and Conference of Rizal, February 17, 2011 | GOVPH". Official Gazette of the Republic of the Philippines. Retrieved 6 December 2017. ^ "Entitlement to the prefix of 'sir'". Retrieved 6 December 2017. ^ a b c Paton, Graeme (13 May 2014). "Stop calling teachers 'Miss' or 'Sir', pupils are told". The Telegraph. Retrieved 4 February 2014. ^ a b Hudley, Anne; Mallinson, Christine (2011). "A Regional and Cultural Variety". Understanding English Language Variation in U.S. Schools. NY, USA: Teachers College Press. ISBN 9780807751480. ^ Rush, Robert S. NCO Guide (9th ed.). PA, USA: Stackpole Book. p. 328. ISBN 9780811736145. ^ "Frequently Asked Questions". RAF. n.d. Archived from the original on 2 May 2010. Retrieved 4 February 2015. ^ Guldin, Gregory Eliyu (1992). Urbanizing China. Greenwood Publishing Group. p. 171. Look up sir in Wiktionary, the free dictionary.